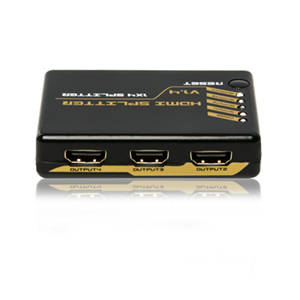 This HDMI Amplifier Splitter has four outputs. 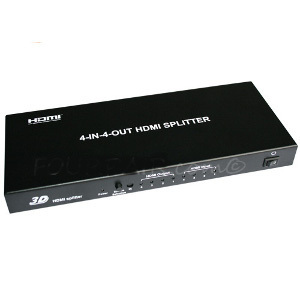 It distributes the input of the HDMI signal into the four identical outputs (ie: projector, monitor, TV) simultaneously. It supports full 3D format and 4Kx2K. 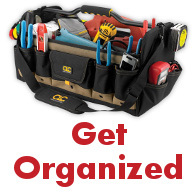 Supports Full 3D and 4Kx2K resolution. Supports 12bit per channel (36bit all channel) deep color.